Anyone who ever went kayaking knows that the first thing they teach you is how to capsize so that if you tip over while on your own, you don’t drown. 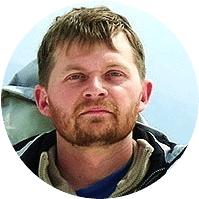 While this is useful if you go out on little river adventures once or twice a year, for the serious canoe or kayak owner, capsizing is not an option since you might have other equipment in your canoe. That is where an outrigger will help you stabilize your craft. 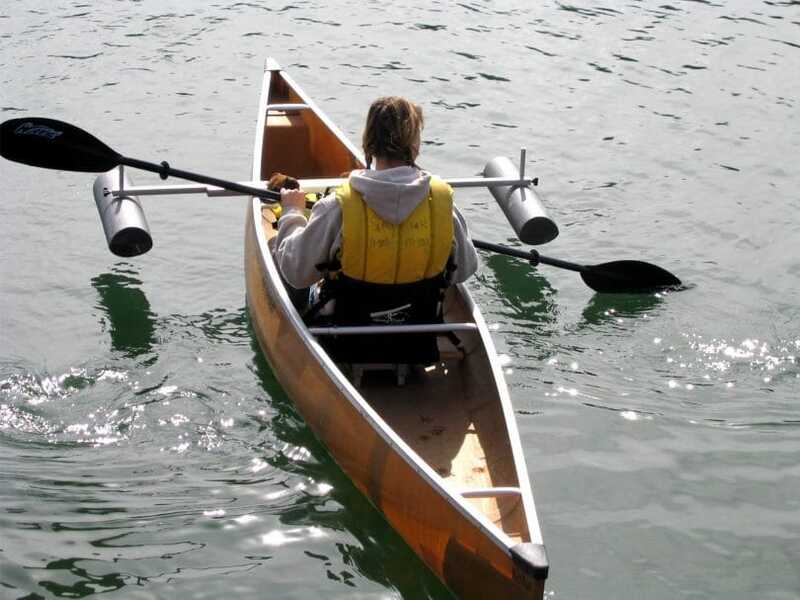 And, while you could buy one, you could also save some money by going for your own DIY canoe stabilizer. Not only will you get the satisfaction of having done your own work, but you will also be able to build a stabilizer, which best fits your needs, as these vary greatly from person to person. But whether you are going fishing or just like to take a ride on a slow river or lake, an outrigger will give you the stability and the sense of safety you need to be able to fully relax. 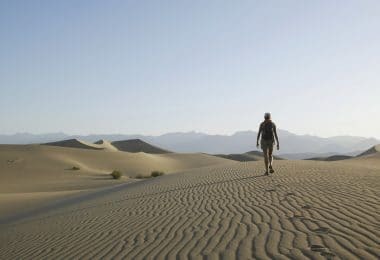 We will be looking at a few different methods you can get this done. The following comprehensive list covers all types of outriggers we will be looking at, so once you choose a method, you won’t need everything on this list. 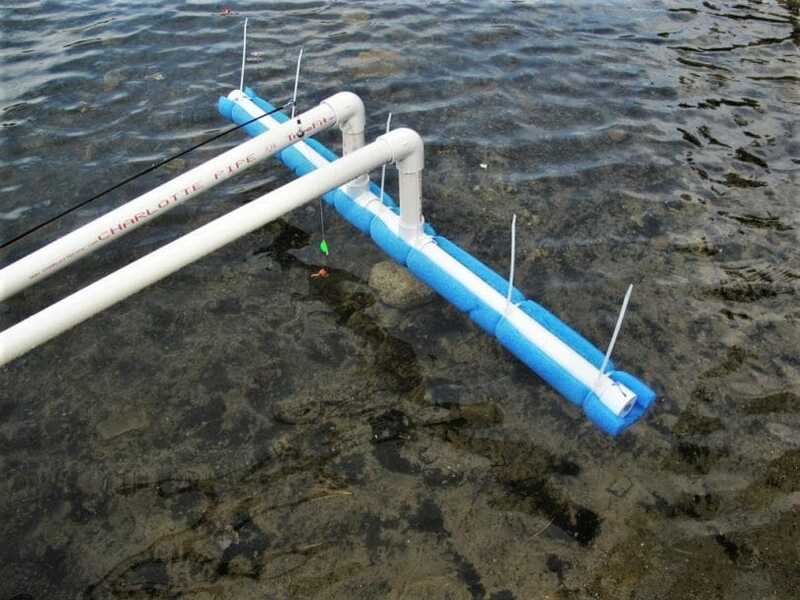 This is the most simple outrigger you can build. 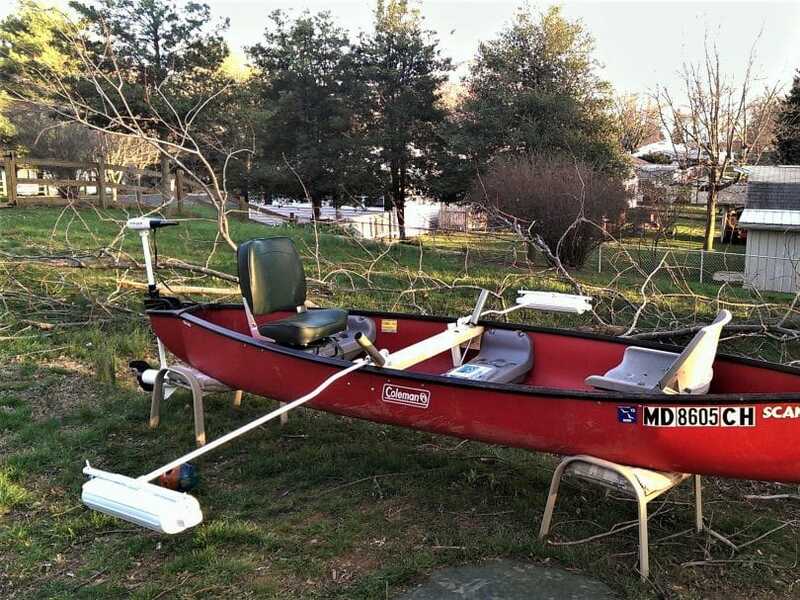 It runs across your canoe from one side to the other, with a stabilizer hanging on each side. First, you need to take the PVC pipe and put on your canoe, perpendicular to the axis of it, at its widest point. The pipe should run 12 to 18 inches over the canoe on both sides. So, if at its widest point, your canoe is 30 inches long, your pipe should be about 54 to 66 inches long. There is a trade-off between the lengths with which it goes over. A stabilizer with longer arms provides more stability as far as the rocking of the canoe goes, but the arms are more flexible and fragile. Next, you will add the 90-degree elbows to the ends of the pipe and point them both down towards, what will be, the water. 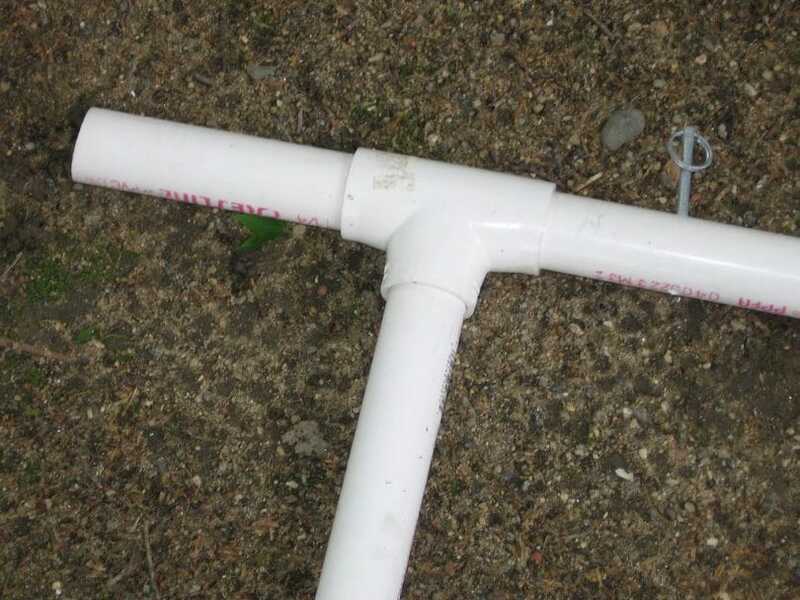 Attach two shorter PVC pipes to the downwards pointing part of the joint. These should be almost long enough to reach the water level once the canoe is launched. They can be about one inch short. 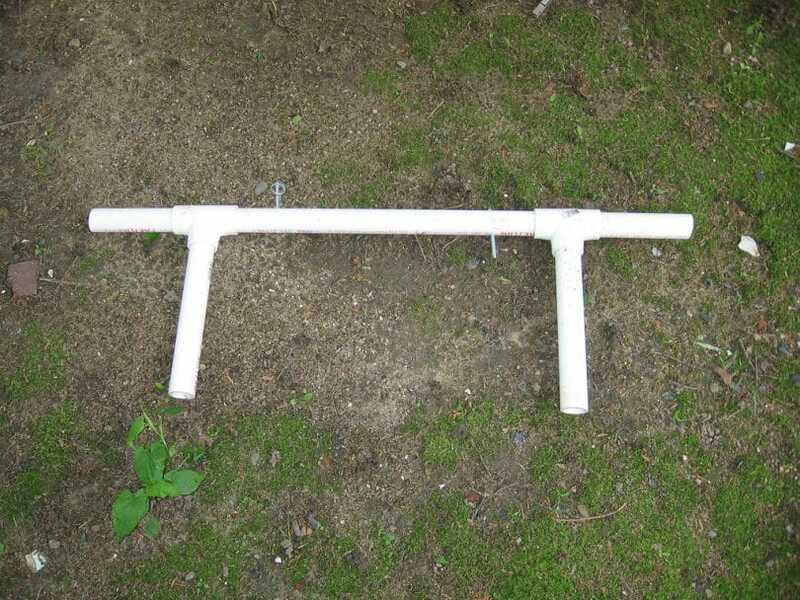 Attach the T-joints to the end of the short PVC pipes. All these connections should, of course, be strengthened with water resistant glue. Now take the swim noodles, which should be the type that has a hole running down the center, and cut slits along the middle of the noodles, so that you might insert the T-joint inside them. These noodles should be between 25 and 30 inches long. Once you have done this, you will need four more short pieces of PVC pipes. Insert these into the noodles so that one end sticks into the T-joint and the other sticks about two – two and a half inches outside the noodle. Fasten the noodles, T-joints and PVC pipes with zipping ties. Now, it is hard to approximate how long the pipes will have to be, and you might need to play around a bit with them until you find the ideal length. 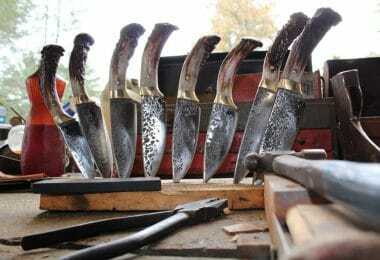 So it is better to start with them being too long than too short since you can cut them further but not add back to them. And remember, measure twice and cut once. For the last part, you will have to cut the bottoms off of the 12 oz coke bottles. Once you have done this drop some glue into the remaining top parts and slip them over the ends of the noodles. Basically, the PVC pipe ends that stick out from the noodles should be touching the bottle caps from the inside, while the other end of the bottle should be like a sleeve over the noodles. Use water resistant duct tape to hold the bottles in place. This is for the hydrodynamic purposes. For a better look, you can spray-paint the bottle tops and the duct tape to match the color of the noodles. Voila, you have built your outrigger. All you need to do is attach it to your canoe. 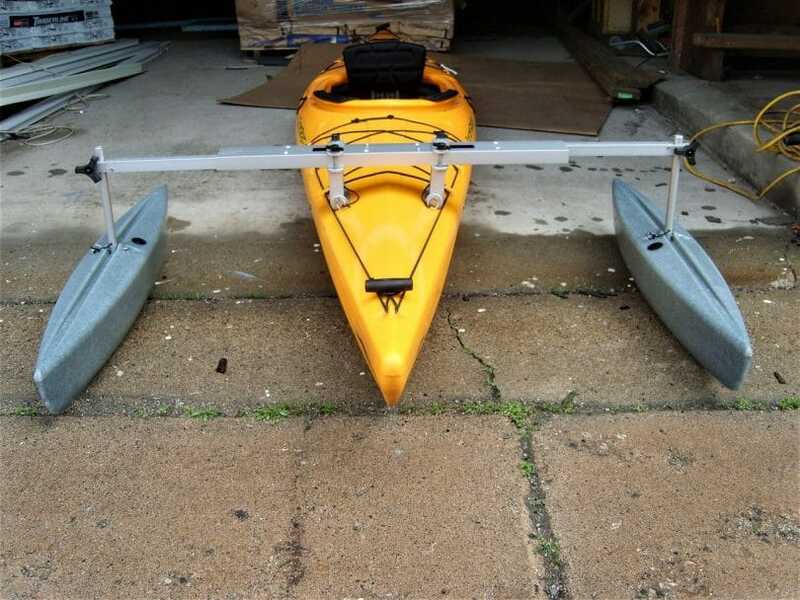 Because canoe models vary greatly, it is hard to find a universal system, but if there is some other bar running perpendicular to the axis of the canoe, you can zip-tie the stabilizer to it. If not, you will have to get creative with clamps, sleeves, drills, zip-ties etc. If you don’t like how the noodles look or feel they do not offer enough buoyancy, you could try using crab buoys instead. These are shaped like the top part of a large coke bottle, are solid throughout except a hollow shaft that runs down the center. Into this shaft you insert the horizontal PVC pipes coming out from the T-joints. That means you will need four such buoys. Furthermore, since these buoys are much wider than the noodles, the vertical PVC pipes will probably have to be cut shorter. You could build your own buoy by taking two large coke bottles, cutting off the bottom parts, as explained with the 12 oz bottles. Add these two bottle tops over the horizontal short PVC pipes, so that one of the bottle sleeves goes over the other bottle, and duct tapes them together. You will need to cut a groove for the vertical PVC pipe. Now just fill the two connected bottles with expanding foam. Though we are not sure if this method isn’t more of a hassle than the just finding some buoys. 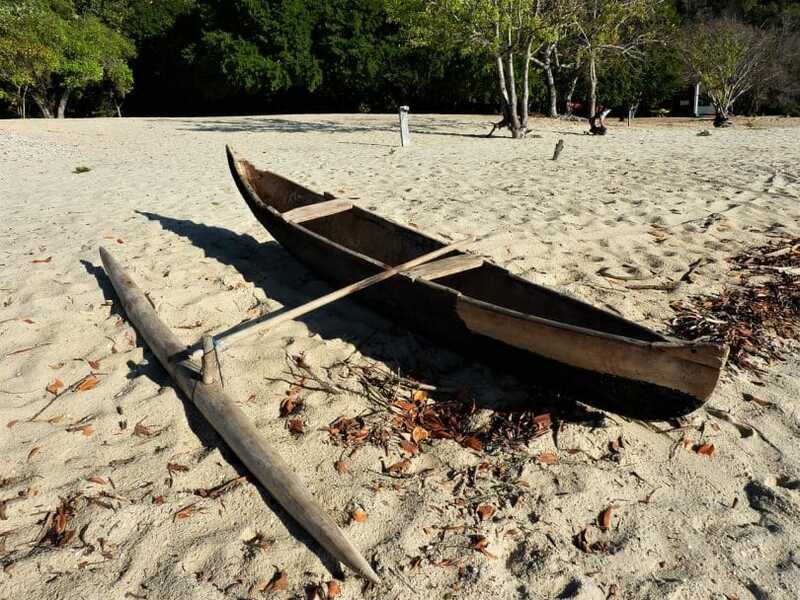 Maybe your canoe or kayak model does not allow for an outrigger that runs across it, or maybe you simply don’t like the look of it or find it impractical. In that case, you can build two single stabilizers, one for each side, instead of one double stabilizer. This is also a good option if your craft comes equipped with symmetric supports for fishing rods (rod-holders). You might find that these are perfect to support your outriggers. Now, a couple of simple ninety-degree angles will not work for this contraption, so you will need to toy around with combinations of 90-degree joints and 45-degree joints until you find a combination which best works for you. Also take into consideration that you can also find short PVC pipes which are curved at 90 or 45-degree angles, so you basically get a joint and a pipe rolled up in one. 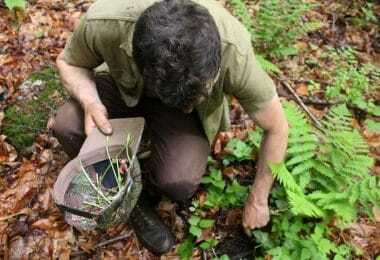 This device is more difficult to build simply because you will have to play around with combinations of straight and angled pipes and you find one which makes the stabilizer rise a bit from your canoe and then goes down to the water. Preferably not straight down. For the end bit, you will again use a T-joint on each side and employ one of the systems described above to attach the flotation device. Such an outrigger might look more professional than the simple one-bar stabilizer. If you do not have rod-holders then you will more trouble attaching this stabilizer to your canoe than you would with the simpler model. You might have to rivet a support to the canoe onto which you can attach the two arms. This would be a permanent thing, so you must consider it well. And even if you do have rod-holders, you might find that the there is no PVC pipe that will fit snuggly into it. If it too wide, it won’t go in, if it isn’t wide enough, it will keep moving around, or popping out, rendering your stabilizers useless. 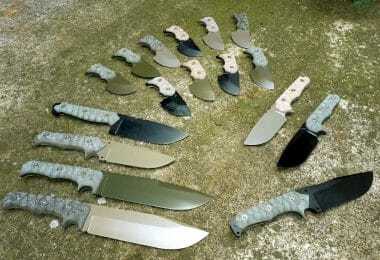 Go to the hardware store and look for cufflinks or rings which might help you with this. Be creative. Unfortunately, there isn’t one single, universal solution, and you will have to find such small solutions by yourself, but on the plus side, you know your outrigger is unique. Plus, it is fun to deal with these small challenges. Stabilizer on canoes and kayaks have been used by humans for centuries, if not thousands of years. These are simple devices, but it is this very simplicity and efficiency which makes them such elegant solutions to a problem which is annoying in the best case scenario and life threatening in the worst case scenario. 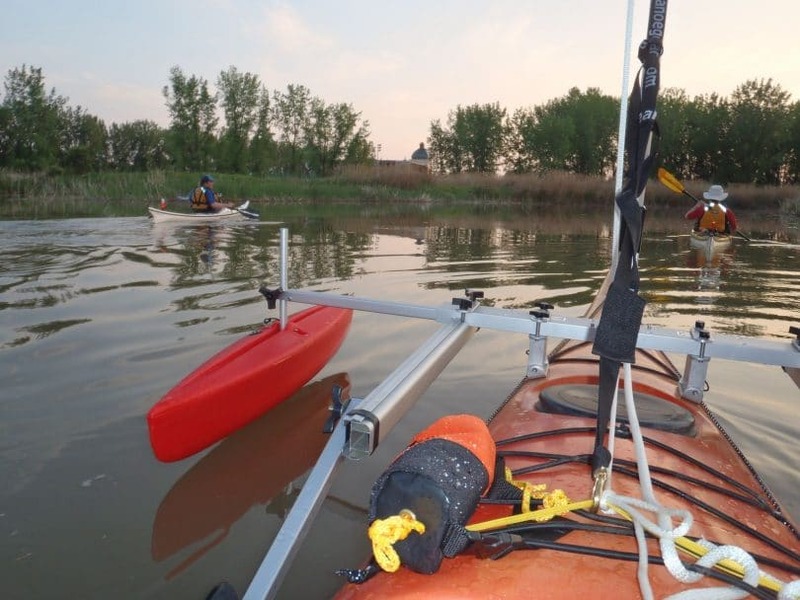 Whether you are using your canoe for fishing, diving or just for transportation, an outrigger will give you the peace of mind and freedom of movement you need to enjoy your experience. For a comparison on kayak and canoe that you can learn, see our article on this interesting topic. No longer will you have to worry about the wave-trails made by speedboats or jet skis, about standing up in your canoe or leaning out of it. And the only person you will need to thank for this will be yourself. Best Athletic Watches: Ready, Set, Count!